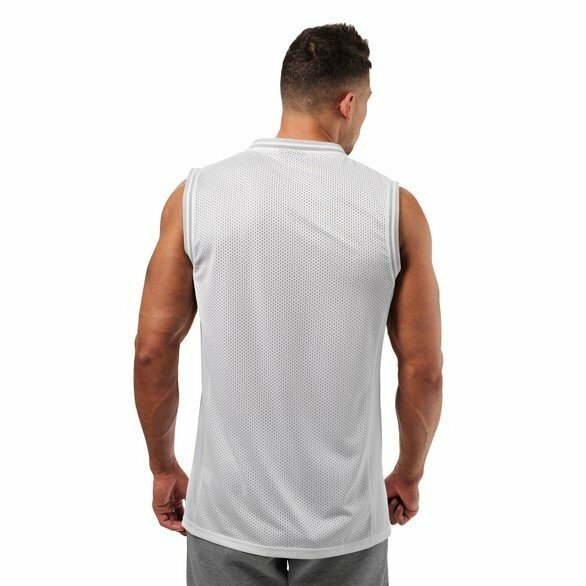 Pro style mesh basketball jersey that works in or outside the gym. Tip Off Tank is a pro style mesh polyester tank with a classic basketball design. 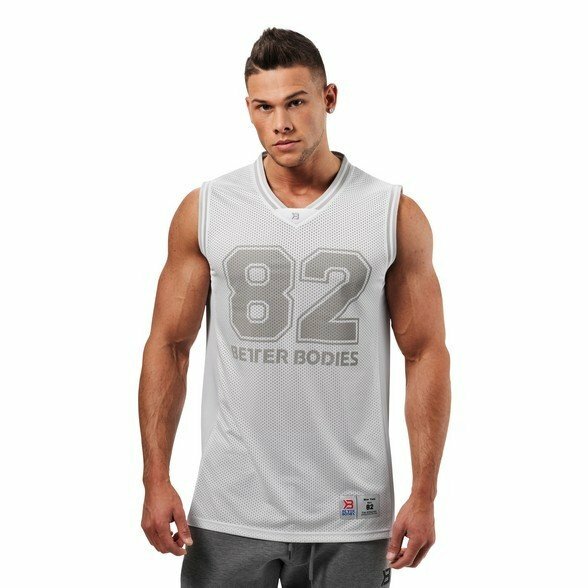 It features a large Better Bodies 82 logo across the chest and more subtle logos on the neckline and at the bottom. It has contrast colored side panels and a design that works as well on the gym as it does in your everyday life. Built to meet the demands of the Better Bodies Lifestyle!